Discussion Where do you get Scotty Headcovers?!? Where do you get Scotty Headcovers?!? I've just started collecting scotty headcovers, and I have been trading now on eBay for them... But how do you get these new from scotty? I don't see them on website and I know some are "tour only " but I know tour players are not selling their stuff on ebay. Is there a club or something, or a secret on how to get these new? Waiting list? Be lucky? And how much are they new?! Club Cameron members get access to ones that go on sale first. How do you become a member ? Do they pay a fee? 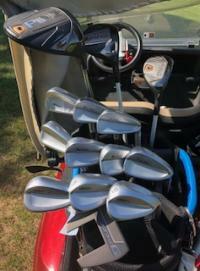 And they still have to pay for headcovers? Can anyone become a member? Is there a fee!? Still have to pay for them if a member? This years membership package was pretty nice, so this is my first time joining. I think they have 6 or 7 releases each year, but others who know can verify. 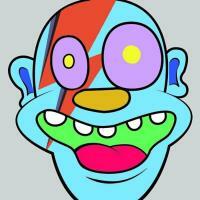 You need to follow on Twitter to know when there will be a release. And there’s no guarantee that you will get what you want. Good stuff goes fast. Many of this years releases sucked. 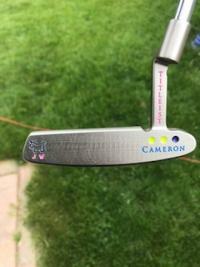 There are Club Cameron releases which were mentioned, but there also some that are only available if you buy a gallery putter or get a putter customized. This was my first year joining and I agree. Garbage all around. Ebay seems to be the place just check who you are buying from . There is also the Scotty Cameron Collectors Club . The Scotty Cameron Museum in Japan . You can join both and buy some real treasures from Japan . 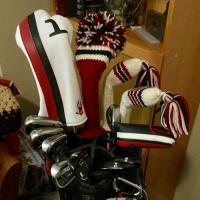 You can pick up headcovers and putters from the Collectors Club too. Have had good luck on eBay... got PGA Cheese, St Paddys day, and Sunny &72 covers... all new and nice. Join the Scotty Cameron Enthusiasts page on FB. You have to be very careful these days on eBay, I had an assistant pro at my club buy some on a Chinese website for $10 to $20 that looked legitimate and sell them on.